998cc 4 CYLINDER YAMAHA 5JJ PETROL ENGINE PRODUCING 164BHP!! COMES WITH A FOLDER FULL OF INVOICES ! 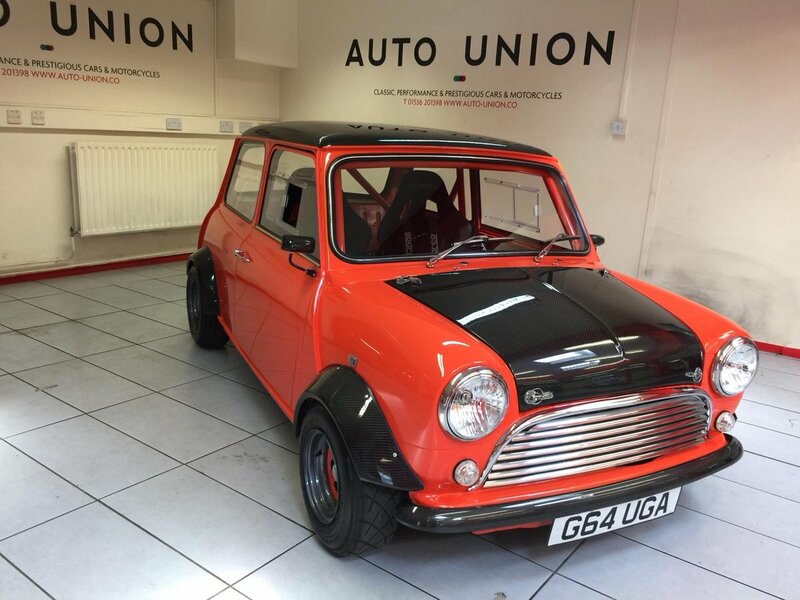 THIS ICONIC MODIFIED CLASSIC MINI LOOKS, SOUNDS AND DRIVE AMAZING. 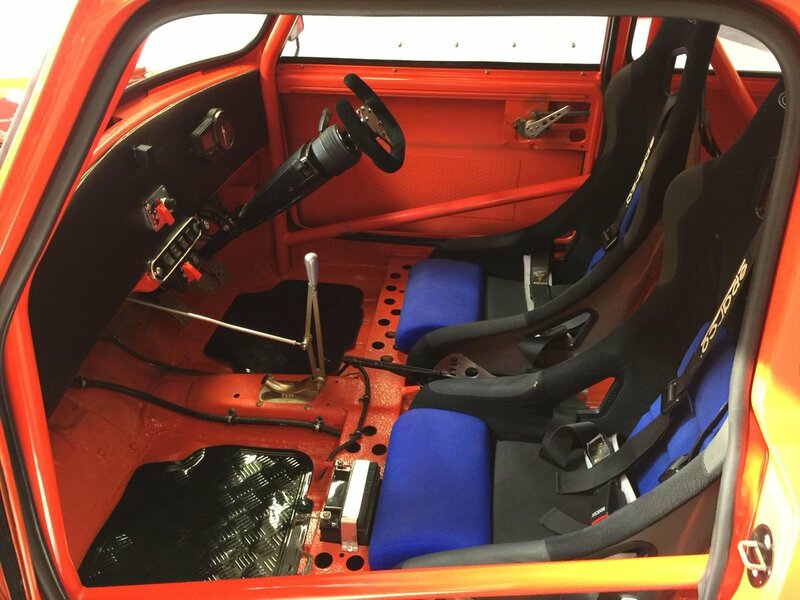 This is an absolutely stunning, one off, no expense spared build. 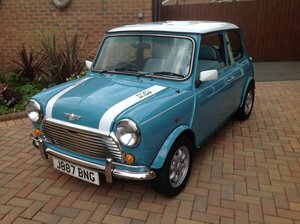 It has done just a few hundred miles since the build was completed, She is also the centre page feature in Mini Magazine issued in October 2014. 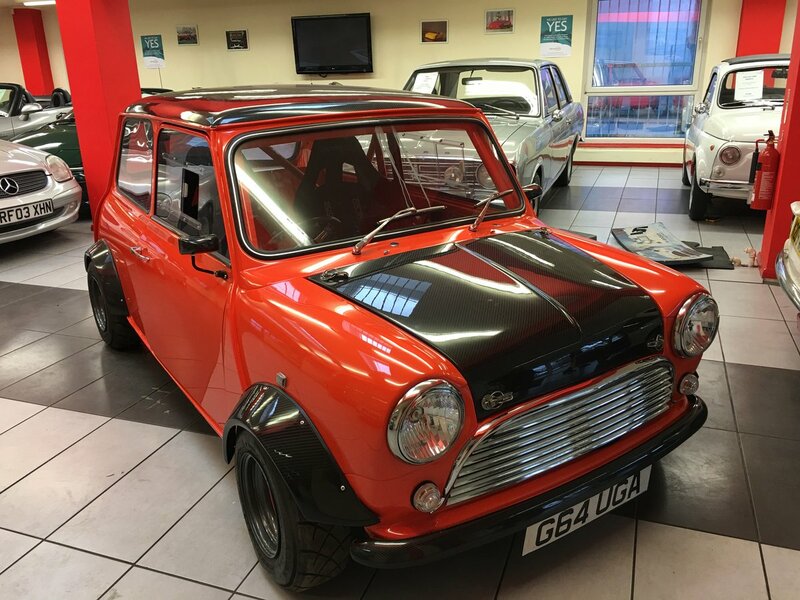 Lynx AE have been racing Mini’s and putting motorbike engines in cars for many years, in fact Lynx AE started racing motorbikes in 1987 then moved to Minis in 1991. In 1996 Lynx AE fitted the first motorbike engine into the works Global Light race car. 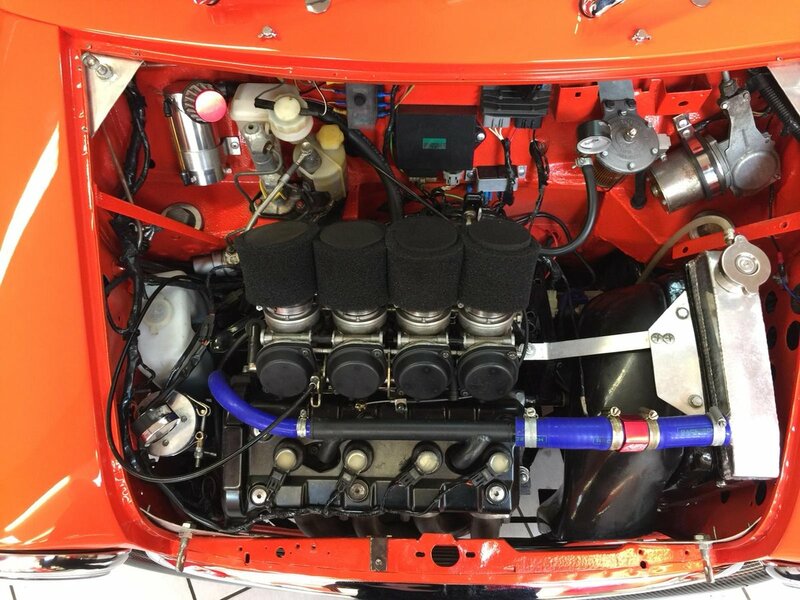 A previous conversion in an MG Midget showed the versatility and performance of the Yamaha R1 engine so, when they were approached by a customer to install a Yamaha R1 engine into the front of a Mini driving the front wheels, and also under strict instructions that there were to be no body modifications, it was a natural progression to put there extensive knowledge to use and design. What we feel here at Auto Union is that the Lynx AE Mini Yamaha R1 conversion kit is the best money can buy !! 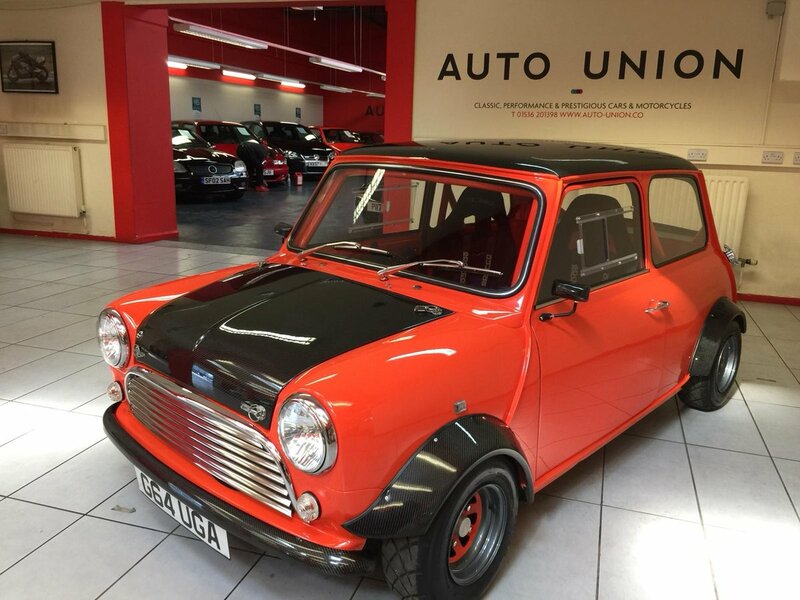 ALL PUT TOGETHER THIS IS ONE VERY SPECIAL UNIQUE CLASSIC MINI THAT HAS BEEN REDEFINED AND RE-INVENTED ! 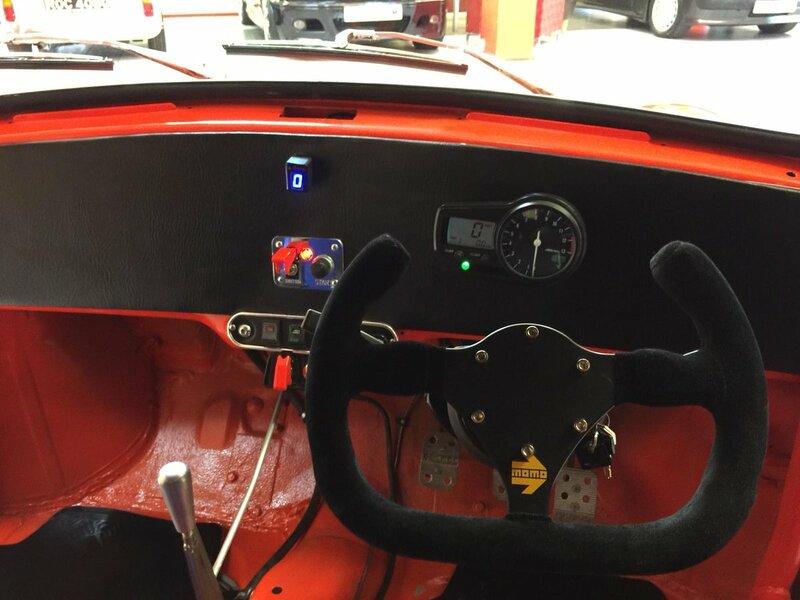 THIS IS A SERIOUS PACKAGE AND WOULD BE SUITABLE FOR SHOWS, TRACK DAYS, HILL CLIMBING OR FAST ROAD ! SPEC INCLUDES : Lynx AE conversion Kit, Yamaha 5JJ 998cc Engine And Gearbox, Barnett Coil Spring Racing Clutch, Accusump Oil Pressure Regulator, Acumen Gear Indicator, Minispares Alloy Radiator, Accusump Facet Fuel Pump, Filter King Fuel Regulator, Modified Throttle Pedal, Minisport Front Hubs, Minisport 4 Pot Alloy Brake Callipers, Minifin Rear Drum Brakes, Polybushed Subframes, Internal Brake And Fuel Lines, Internal Motorcycle Battery, Lightweight Cobra Imola Fibreglass Bucket Seats, 4 Point Harness, 6 Point Welded Roll Cage, Yamaha R1 Dash Mounted Clocks, ACW Plastics Poly Side And Rear Windows, Lightened Steel Doors, Wipac Freeform Headlights, Mini Mk2 Rear Lights, Mini Mk1 Front Grill And Surround, Front And Rear Minisport HI-LO’s, Front Minisport Camber Kit, Minisport Rear Camber Brackets, Spax Adjustable Red Shock Absorbers, 10×6 Weller Wheels, ARC Angles Carbon Roof,Bonnet, Bumpers, Wing Mirrors and Carbon Fibre Miglia Arches, Electric Reverse Gear, Momo Quick Release Steering Wheel. 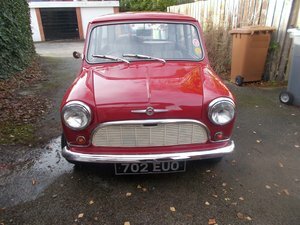 Stunning Condition Inside And Out. Viewing available in our Corby showroom. 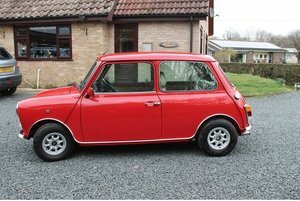 1969 Fully Restored Morris Mini Cooper S MkII 1275!!! 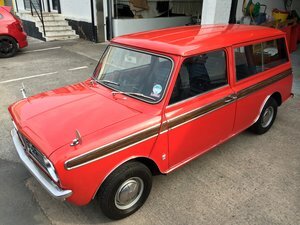 TOTAL RESTORED, original pain red with roof white, more pieces engine new, interior fabolous, matching numbers, alloy wheels, very good upstairs and down. Born in Italy. 77.000 kilometer. only 3 italian owner. use e mainteance original.